02 Products specific for organ - natur-apothekes Webseite! A healthy organism needs to the prevailing part basic pH factors (pH factor > 7). According to estimates about 80% of all Europeans are overacidified. Use with hyperacidity, colics, inflammations, tumors, rheumatism and gout. Akti-Lysin counteracts against the hyperacidity of the body, binds acids and flushes them out, intodruces at the same time bases and remineralizes the body. C Plus: Germs from yoghurt cultures to the removal of an injurious intestinal environment. Ingredients: 4 probiotic cultures in a concentration of 24 billion lactic acid bacteria per day serving. With 1 g of germs are supplied 6 billion bacteria, so much like in 6 yoghurt cups. C Plus originate better immune cells in the bowel and a strong resistance system. It helps in stomach aches, diarrhoea, flatulence, irritable bowel syndrome, bowel polyps and cancer of the intestine. L-Flush: Liquid extract of herbs to the treatment of lung problems. Ingredients: Rosmarinus officialis, chrysanthemum spp., Morus alba, Malitol. Suitable for smokers, with chronic bronchitis and with constriction of the airways. L-Flush cleans and detoxifies the lung tissue, supports the metabolism between blood and tissue, is a strong antioxidant for the lung tissue and decontaminates heavy metals and environmental pollutions from the tissue. K Plus: Capsules to the treatment of renopathy by means of natural herbs. Ingredients: Uva Ursi, Dandelion, Sarsaparilla, Stinging Nettles, Poria cocos. 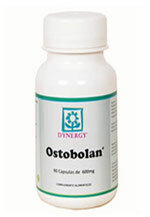 Use with hypertension, gout pains and arthralgias as well as to the body detoxication. K Plus promotes the kidney function, works with nephritis and cystitis, cleans the kidney, works against bacteria and prevents kidney stones. Ingredients: Holy thistle essence, dandelion root, thistle herb, China berry, Swertia pseudochinensis. Use with raised drug consumption and consumption of alcohol as well as with interferences by air pollution. Liver Plus cleans and detoxifies the liver, promotes the liver-cell regeneration, supports the liver function and avoids the creation of poisons in the liver. Suitable for overweight and smokers. 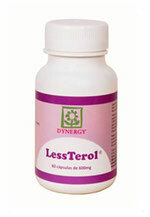 Less Terol harmonises the blood lipids reflector in the bloodstreams and solves the fat depositions in the blood vessels which block the arteries. It prevents breast cancer, prevents heat ebullitions and contains anti-fold substance. Mensul Plus contains a reliable origin of softly active vegetable phyto estrogens and is a natural alternative to chemical and half-chemical substances. Osteoporosis originates from a low mineral density of the skeleton bones. The internal osseous structure is renewed in the course of the life constantly and can be improved with the help of nutrients. Recovery of the microarchitecture of the bone and increase of the osseous density by calcium, magnesium, vitamins and the herbs of devil's claw and horsetail.